Follow These Quick & Easy Steps To Win A $100 Visa Gift Card! 2. Like our Facebook giveaway post. 3. Tag 2 friends that are Expats on the Facebook giveaway post. 4. You will be entered to win a $100 Visa gift card. That is all you need to do in order to be entered to win a $100 Visa gift card! Are you an Expat in need of a vehicle in your new location? Whether relocating to the Americas, APAC or EMEA, International AutoSource provides car leasing, financing, purchasing and all-inclusive rental solutions with no local credit history or driving record. Let us help you get behind the wheel of your new dream car! 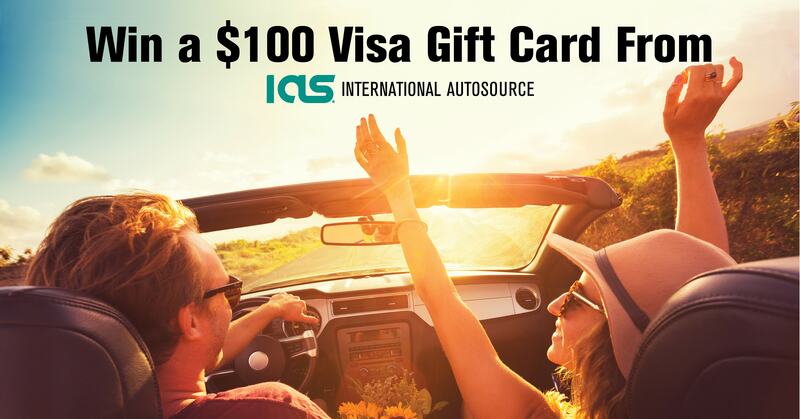 Visit International AutoSource for more information about IAS. *No purchase necessary to enter. Limit one entry per person. Giveaway is open from 11/1/17 through 11/30/17. Entrants must complete all three steps in order enter. Winner will be contacted via Facebook within 7 days of the contest ending. All programs and guarantees are subject to terms and conditions.